In addition to this, several strategies can aid in increasing business profitability, including efficient practice management software, cloud-based software solutions for billing and claims management, revenue cycle management, patient management tools, and others. The below graph highlights the statistical value of success, which can be achieved through the inclusion of efficient software, designed specifically for the medical billing and claims industry. However, every professional in this industry is looking for that one secret tool that ensures higher profitability and efficiency. We have identified and elaborated one such paramount best practice in medical billing and collections that will not only ensure business success but also improve the overall functioning of the organization. Healthcare organizations need to handle their revenue cycle efficiently, to put the money into the betterment of the community’s health and the industry’s growth. 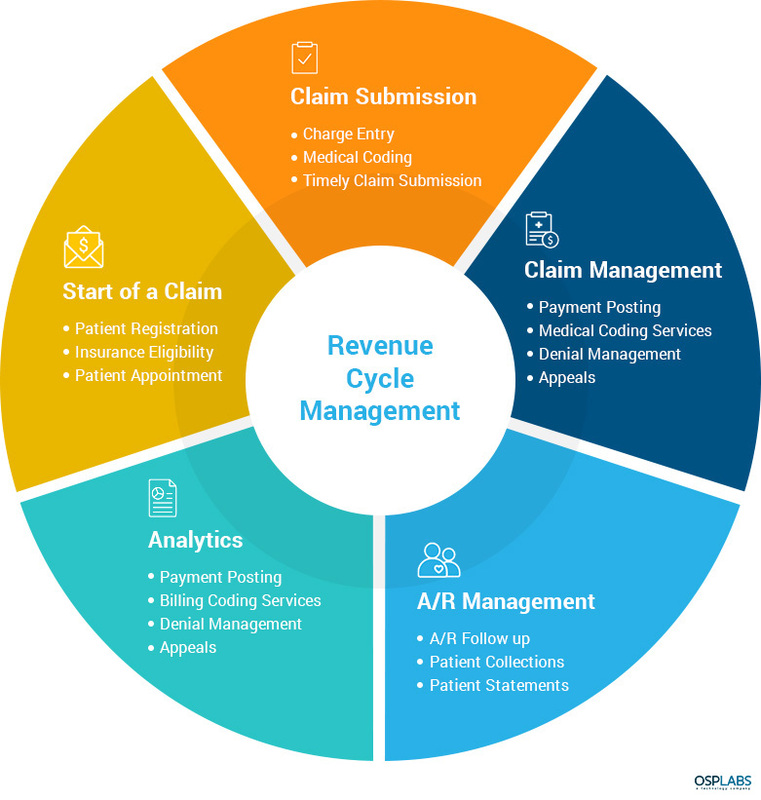 The healthcare industry’s revenue cycle includes every administrative and clinical aspect that lends themselves toward the accounting, management, and reimbursement of healthcare services that are offered to patients. When the revenue cycle is not in good shape, healthcare organizations find it difficult to cope with leading industry players. The worst outcome is when the organization is confronted with a situation wherein they are running short on cash for daily operations. This is where the role of big data analytics can make all the difference. Big data analytics work towards aiding healthcare organizations to manage mass information efficiently and to create awareness within the organization of revenue cycle management goals. Big data analytics can further assist by predicting the outcome of a claim, that is whether it is likely to be accepted or not, by following its lifecycle. Pre-registration – A patient account that identifies and lists every relevant detail of the patient, including medical history and insurance. Claims Submission – Identifying the type of treatments provided and placing it under the correct codes according to ICD-10 codes. Government agencies have now executed a cleaning of the healthcare industry with ever increasing inspection of medical wastes and frauds. This has led to a substantial increase in claims denied or rejected. For a healthcare organization, this challenges their financial stability if claims are repeatedly or increasingly denied. Over 4000 hospitals in the country have already made a move toward healthcare revenue cycle management technologies. Investments in healthcare revenue cycle management software and services are predicted to grow by 15.51 percent over the next couple of years. The total spent on revenue cycle management solutions around the world is also projected to reach $7.09 billion by 2020. Every hospital or clinic is dependent on prompt payments for services rendered. Delays in claims reimbursements, etc. can cause considerably serious repercussions. Through the successful deployment of practice management software, related patient activities can be accessed and systematized. 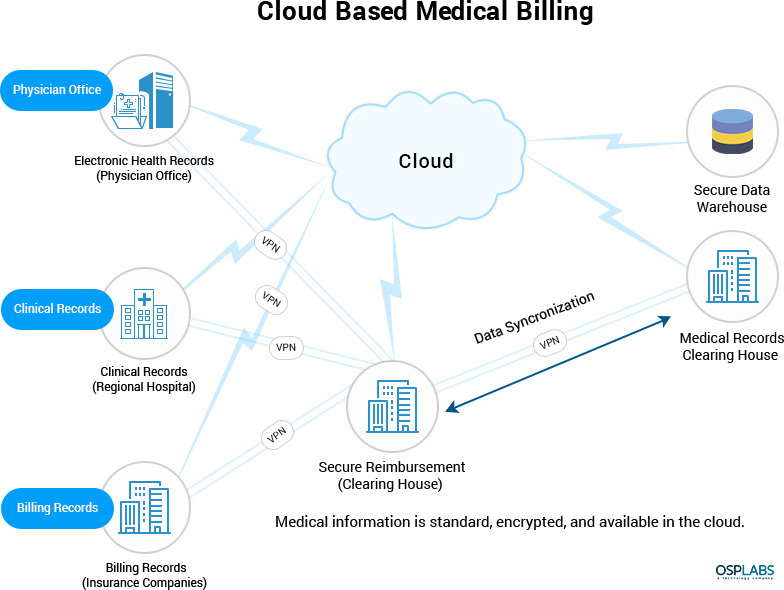 An efficient cloud-based software solution and claims management technology solution can provide further impetus towards medical aid claim administration. These can extend themselves to further accelerating the efficiency of the billing and collection system. Electronic Health Records (EHR) or Electronic Medical Records (EMR) are the coalitions of a patients record that a digitally stored for easy access. If the EHR/EMR process is executed proficiently, there are fewer claims rejections and payment cycles have a faster turnaround time. The time frame can be further reduced through an automated medical billing program that screens every patient for eligibility criterions, etc. Ranked among the top group practices in the U.S, our client, was among the pioneers who participated in the Medicare Shared Savings Program (MSSP). The organization decided to apply analytics toward the benefit of their revenue cycle management. Their specific goal was to optimize the time to pay on account, measured against Accounts Receivable (AR) days through a data-driven approach. Among others, their goal was to be able to promptly access critical financial metrics and a tool that would assist them with quick problem-solving. Through this deployment, the FQHC obtained analytics much faster and efficiently, without inter-department dependence. Additionally, the data insights and analytics aids in better decision making, which goes on to increase business profitability. Finally, an additional advantage was the insights of the software to provide and predict the ongoing and upcoming trends of the industry. When data-driven revenue cycle management is successfully incorporated into an organization, the benefits are endless. Several claim denials can be avoided through automated billing software and the by data analytics ability to flag those claims that are likely to be denied. The continually changing panorama about the regulations in the healthcare industry can make healthcare revenue cycle management a daunting task. Settling debts is another big hurdle since payments are very rarely made at the point of or before the service is offered. Verification of insurance eligibility, determining Medicaid related to every specific patient, coverage options, etc. are all aspects that can be automated through a data-driven revenue cycle management program. Those claims that have a chance of being rejected are identified and flagged at the time of bill generation, which further increases the profitability and reduces unnecessary delays. Ultimately, the right data analytics technology will ensure an increase in the revenue of the organization.